The next couple of months of the year is all about gathering loved ones and celebrating togetherness. 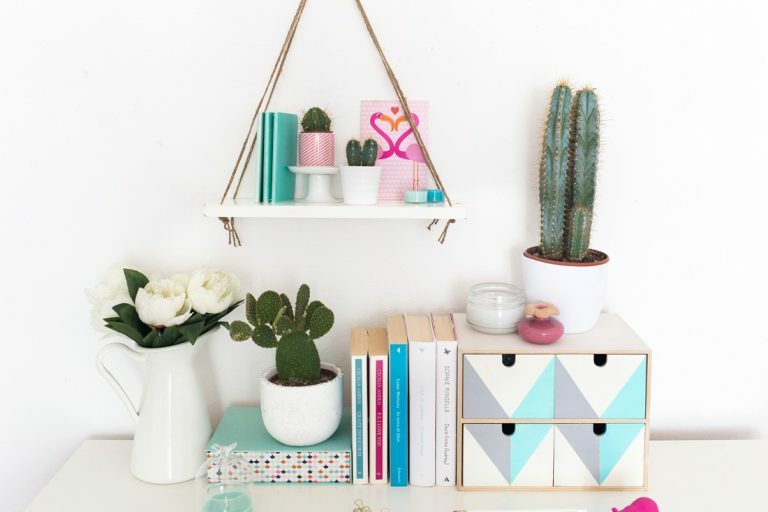 As awesome as all the parties and festivities are, it can get pretty overwhelming mentally and financially. Not gonna lie, during this season, I used to stress over making sure all the table settings and decor looked on point and not go crazy with my credit card. Little did I realize is that you can still pull off a beautiful, aesthetically pleasing party without breaking the bank. 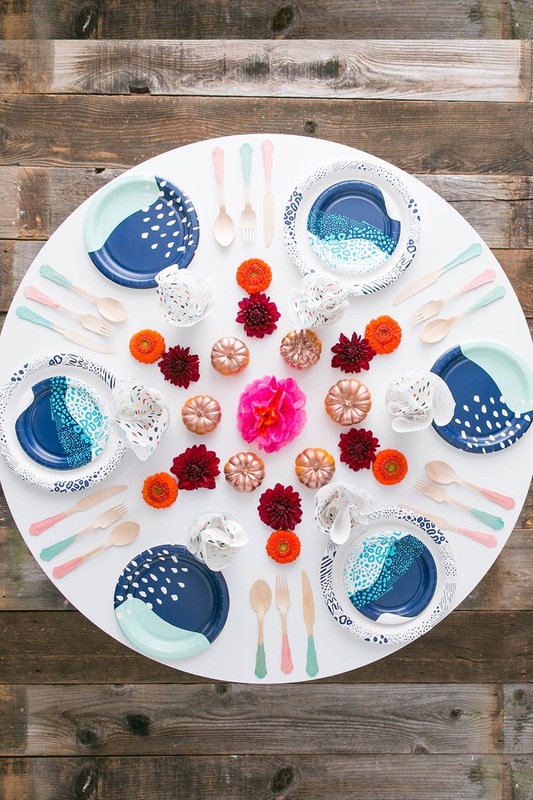 Everyone knows that paper flatware is the way to go for easy party planning, but it’s time to think outside the box. 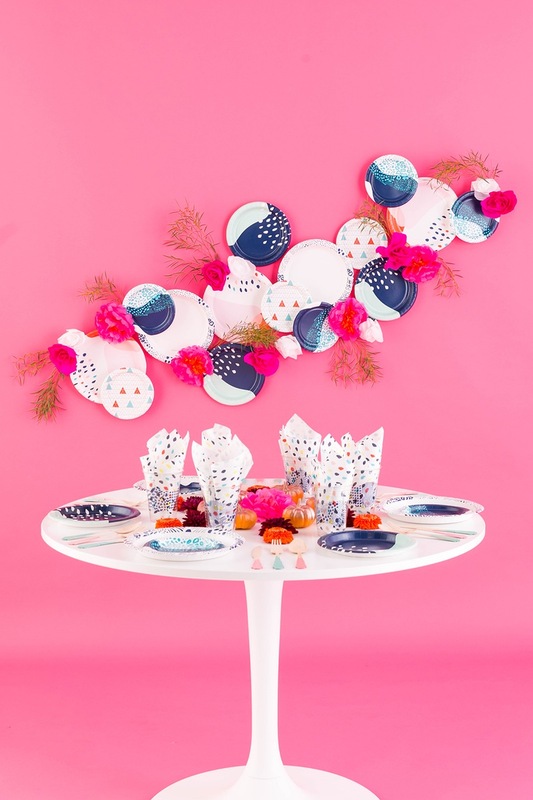 Paper plates, especially cute ones, can also make excellent and inexpensive party decor! The Brit + Co line for Cheeky has everything you need to host your next dinner party this fall. 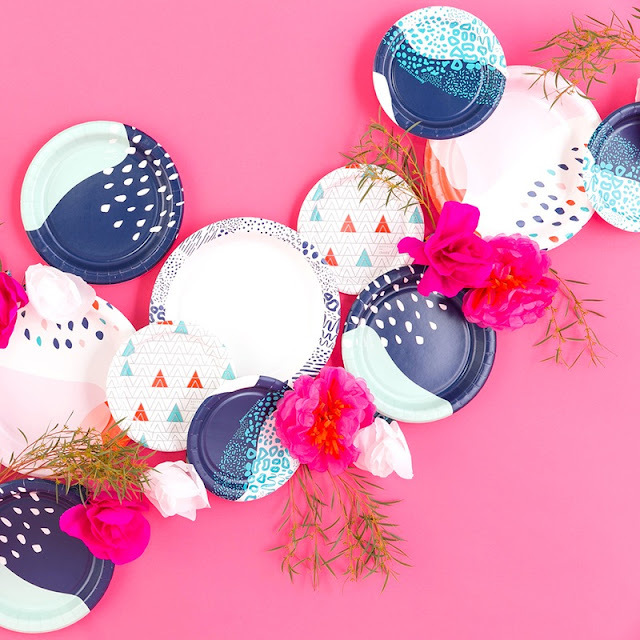 You can find our Cheeky products in Target stores and at Target.com for a limited time. Dress up plain wooden utensils by dipping the ends a few times in food coloring and water. The food coloring creeps up along the wood grain, making a cool ombre effect. 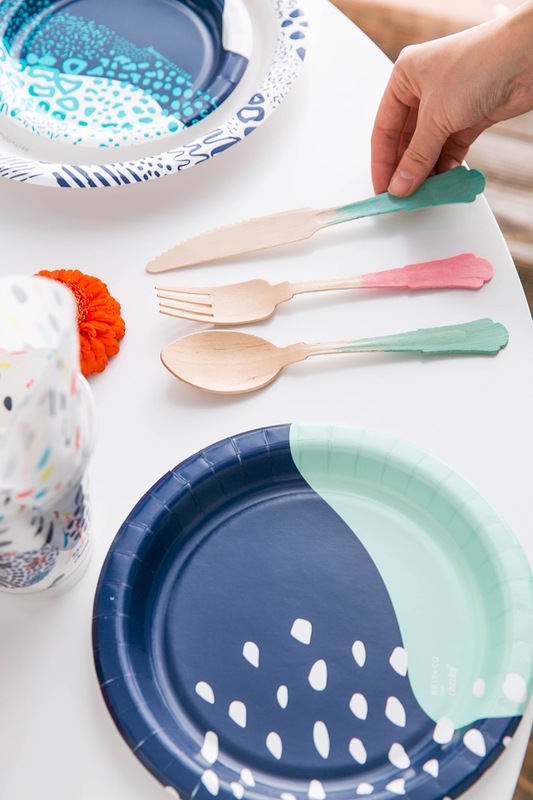 By using food coloring and not paint, the utensils are 100% food safe! 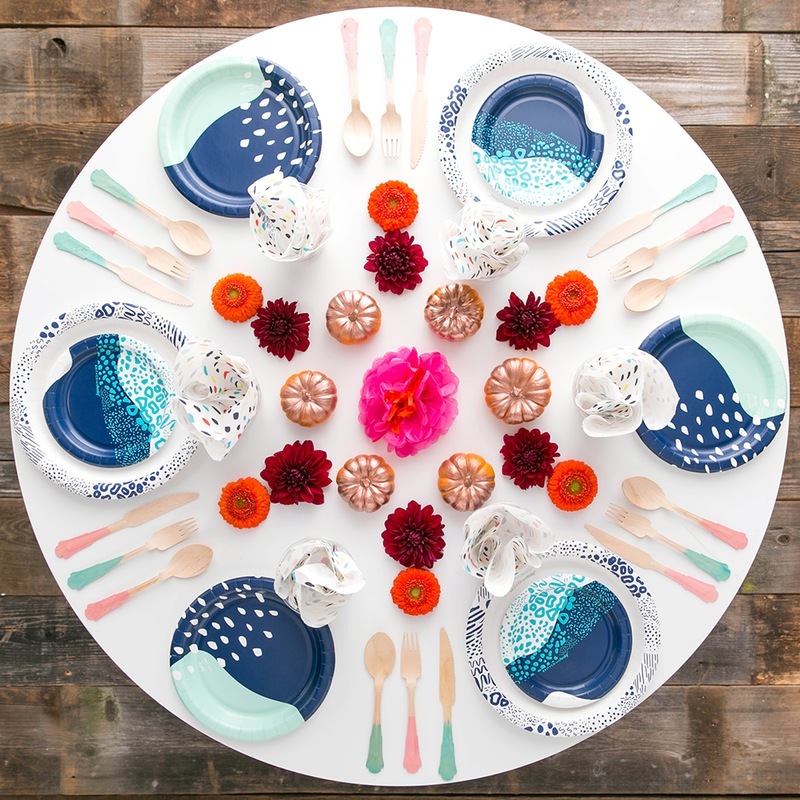 As organized as the mandala setting is, the organic designs in the Cheeky plates keep the table from looking too stiff and symmetrical. 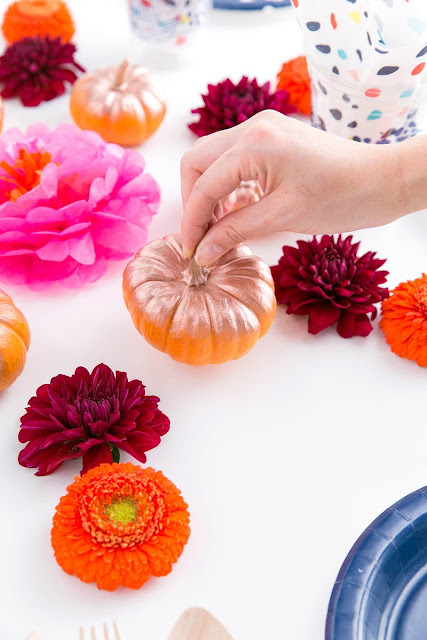 Lightly spray the top of mini pumpkins with some gold spray paint and place on the table to keep the party looking on point for fall. 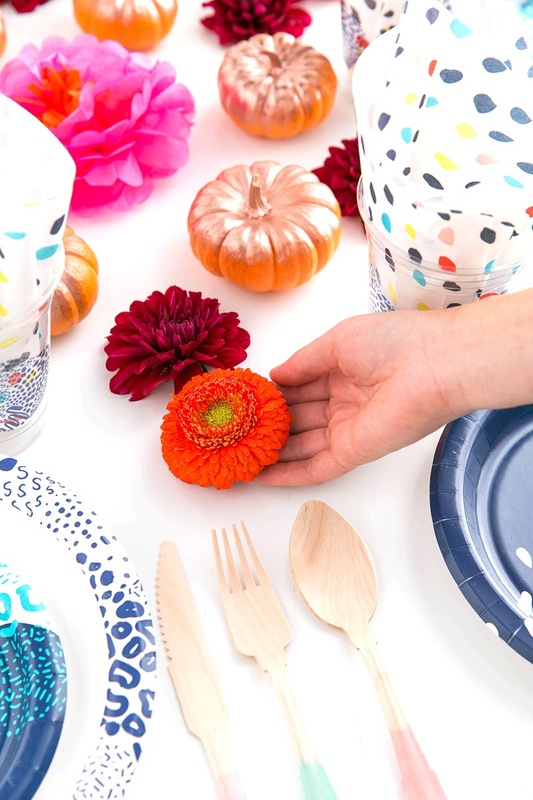 With the money you saved with buying paper plates and wooden utensils, buy a few blooms to add to the table. 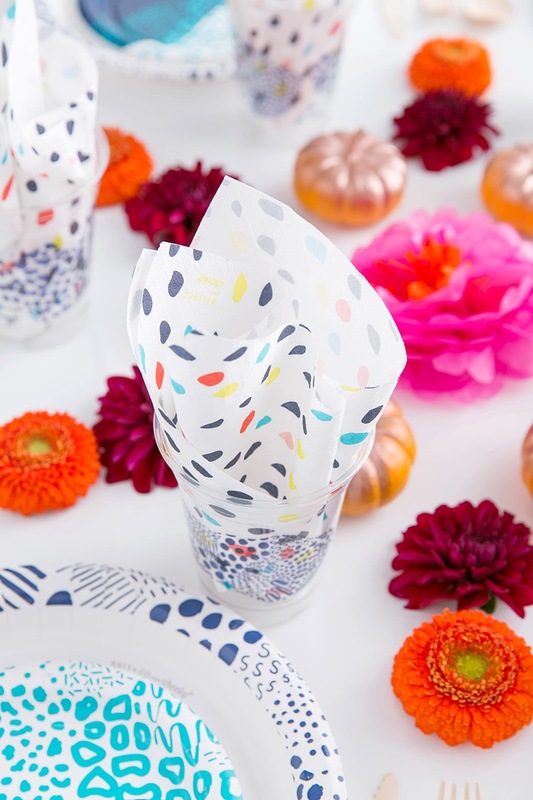 Whoever said paper napkins weren’t classy will stand corrected. 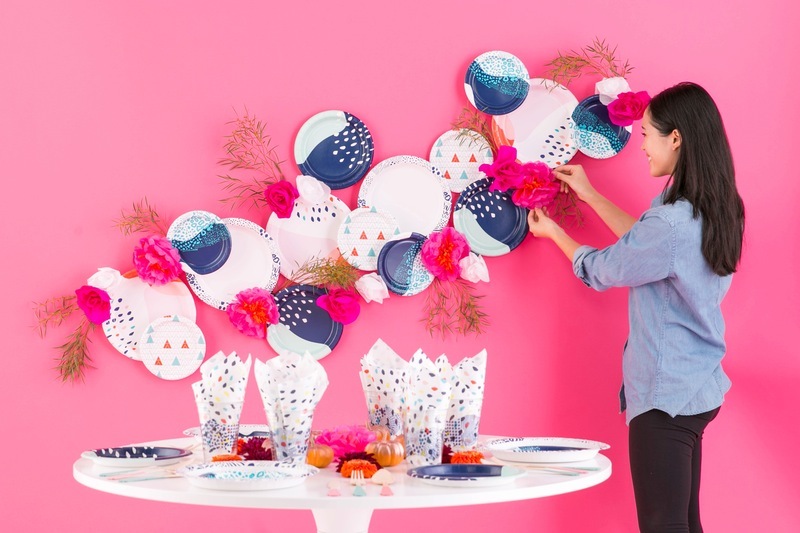 Using paper plates as a party backdrop will save you so much time, money and effort. 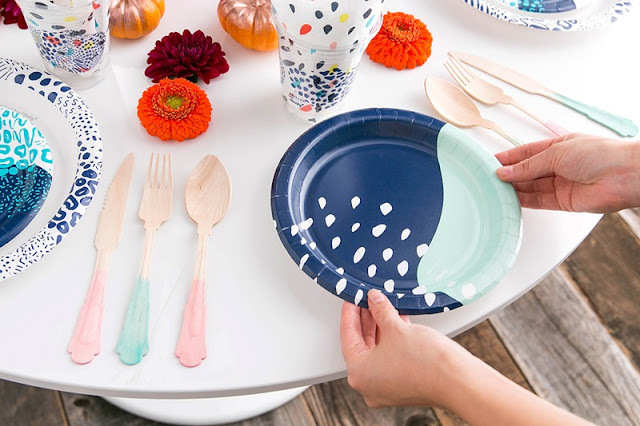 If you’re already going to buy paper flatware for the party, buy an extra pack or two at Target to decorate the dinner space! We just used rolled up tape to adhere the plate to the wall. 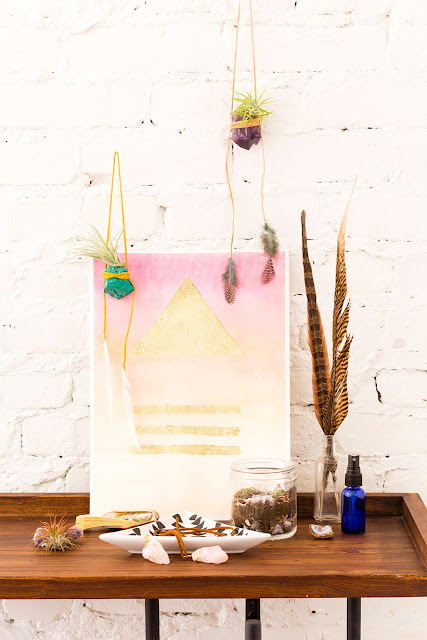 We layered the plated together to create a little dimension. Easy peasy! Add some paper flowers and simple branches to the mix too. :) Real flowers can get expensive, but the flower stand I went to gave me these branches for free! It might be worth asking your local flower vendor for their extra leafy branches, or at least ask if you can buy a bundle on the cheap.